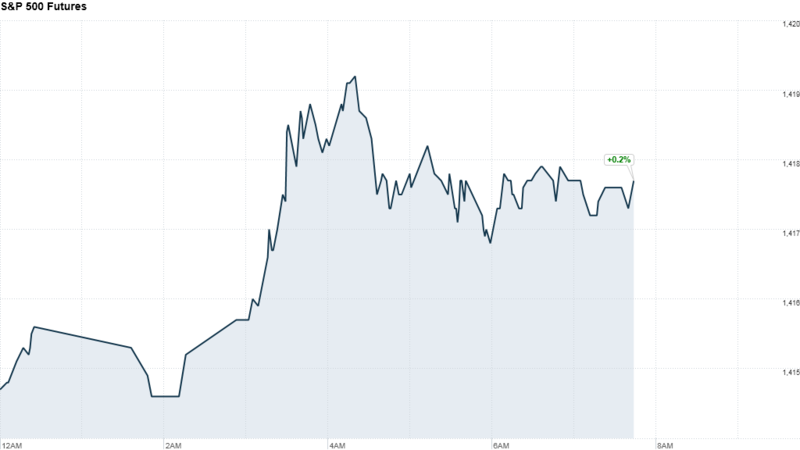 U.S. stocks were poised to open higher Tuesday, as investors hope to hear some good news out of Greece this week. U.S. stock futures edged up about 0.2%. Greece has been at the center of Europe's debt crisis. Greek Prime Minister Antonis Samaras, who will be meeting with eurozone officials throughout the week,is expected to push for a two-year extension of Greece's bailout program. That would give the government more time to implement difficult reforms and help get the nation's economy back on track. Stocks have been rising across the continent since European Central Bank president Mario Draghi said late last month that the ECB would do "whatever it takes to preserve the euro." The yield on Spain's 10-year bond has fallen to 6.3%, while Italian 10-year bond yields have declined to 5.8%. Investors are also keeping tabs on the Federal Reserve. The central bank will release minutes from its July meeting Wednesday afternoon. While the Fed didn't announce any further stimulus measures at its latest meeting, investors will look for clues about whether quantitative easing could be coming when chairman Ben Bernanke speaks at the Jackson Hole, Wyo., symposium at the end of the month. U.S. stocks ended flat Monday, but remained close to 4-year highs. World Markets: European stocks moved higher in morning trading. Britain's FTSE 100 ticked up 0.3%, the DAX in Germany added 0.4% and France's CAC 40 rose 0.5%. Asian markets closed mixed. The Shanghai Composite gained 0.5% , while Japan's Nikkei edged lower by 0.2% and the Hang Seng in Hong Kong ended flat. Companies: Best Buy (BBY) reported earnings early Tuesday that fell far short of analyst expectations, sending the retailer's stock down 9% in premarket trading. Best Buy also cut its outlook and suspended its stock buyback plan. The disappointing report comes after the company announced that it had reached an impasse with founder Richard Schulze in his attempt to buy its outstanding shares, and named Hubert Joly, the former head of Carlson Wagonlit Travel, as its new CEO. Barnes & Noble (BKS) is expected to report a loss of 98 cents a share on $1.5 billion in revenue before the bell. Dell (DELL) will report its quarterly results after the closing bell Tuesday. It is expected to post earnings of 45 cents a share on $14.65 billion in revenue. Shares of Urban Outfitters (URBN) soared 16% after the retailer reported second-quarter earnings that beat analyst expectations late Monday, leading to multiple analyst upgrades. 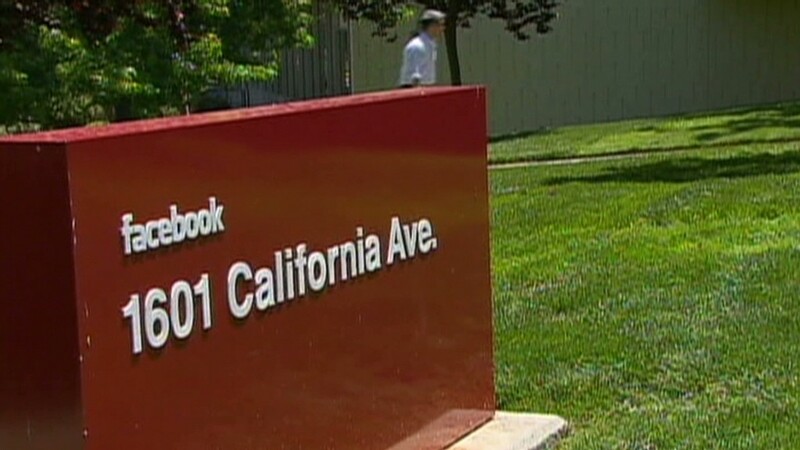 Shares of Facebook (FB) continued to slide early Tuesday, following news that one of the social networking site's first big investors sold most of his stake. Peter Thiel, who became a Facebook investor in 2004, sold 16.8 million shares in the IPO, netting $640 million. Apple (AAPL) set another record: It became the most valuable public company in history after Apple shares hit a new record of $665.15. The anticipated September launch of the new iPhone, coupled with rumors of a smaller iPad and a more feature-rich Apple TV have lifted the stock in recent weeks. Hedge fund manager George Soros said Monday that he had taken a small stake in British soccer team Manchester United (MANU), which debuted on the New York Stock Exchange earlier this month. Currencies and commodities: The dollar edged lower against the euro, the British pound and the Japanese yen. Gold futures for December delivery rose $3.60 to $1,623 an ounce. Bonds: The price on the benchmark 10-year U.S. Treasury fell 1% on Tuesday, pushing the yield down to 1.81% from 1.82% late Monday.